SOS homophobie is a non-profit organisation whose goals are to combat hate-motivated violence and discrimination against LGBT people. It was founded in April 1994 and is run by volunteers from all parts of France. SOS homophobie currently has 1200 members, 300 of which are actively involved as volunteers. The organization is based in Paris and is represented by an elected Board of 21 members. by partaking in or organizing campaigns to raise awareness about LGBT rights. by calling on public figures and politicians, institutions and leading organizations to take the necessary measures to stop discrimination of LGBT people. by publishing our Annual Report, in which we analyse the current situation in France in regard to hate-motivated abuse, harassment and discrimination against LGBT people, based upon the testimonies received on our telephone helpline and website. The SOS homophobie helpline – phone +33 (0)1- 48 06 42 41 – is available Monday to Friday, from 18h-22h, Saturday from 14h-16h and Sunday from 18h-20h (http://www.sos-homophobie.org/ligne-ecoute ). The chat-helpline is open Thursday from 21h-22h30 and Sunday from 18h-19h30 (http://www.sos-homophobie.org/chat). The Campaign Against Homophobia (KPH) is a nationwide public-benefit nongovernmental organization with non-profit status working for the equal rights of lesbian, gay, bisexual and transgender people. KPH was established in 2001 and it mainly specialised in organising large social awareness and educational campaigns aiming at integrating LGBT people into society. Throughout the past years, KPH has been training and educating students, teachers, social workers, lawyers, police, parents and others, covering anti discrimination issues within schools. Actively we cooperate with Polish Teachers Union and education institutions. KPH offers psychological and legal help to victims of homophobia and is very active in lobbying for equal rights on the national level as well as internationally. Lambda Warszawa Lambda Warszawa is the oldest public interest organisation founded in October 1997 by activists of Rainbow Centre. 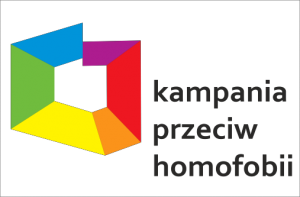 The organisation runs an information and support centre for LGBT persons in Warsaw, as well as provides a helpline and anonymous internet counselling (Monday till Friday, 18:00h-21:00h). Lambda Warszawa also provides legal, medical, sexual and psychological counselling to people in need. In addition to that, Lambda Warszawa monitors LGBT equality relating to persons living in Poland and is collecting data on discrimination on the grounds of sexual orientation. Working in partnership with public institutions (the police, legal institutions, the labour police) Lambda Warszawa tries to improve LGBT equality within the scope of their domains of activity. Lambda also runs the HIV/AIDS prevention programme “Safer Relationships” and organises anti-discrimination and human rights awareness events and projects: “Zywa Biblioteka” (The Living Library), workshops and training sessions on discrimination issues for local NGOs, public authorities, the police and social workers. For now there are 6 full-time staff (only on contractual basis) in different projects and almost 100 volunteers. Activities of Lambda Warszawa are financially supported by Batory Foundation, EEA funds and City of Warsaw. As well as through 1% of the output tax. 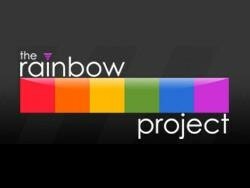 The Rainbow Project was founded in 1994 to prevent the further spread of HIV and AIDS among gay and bisexual men in Northern Ireland. Over the last 21 years The Rainbow Project has developed into Northern Irelands largest lesbian, gay, bisexual and transgender support and advocacy organisation with centres in Belfast and Derry/Londonderry. The Rainbow Project is a health and wellbeing organisation which aims to promote the health and wellbeing of LGB&T people and their families in Northern Ireland. We do this through the provision of services such as sexual health testing, counselling, training and personal development programmes, youth support programmes and peer and social support groups as well as advocating on the needs and rights of LGB&T people through campaigns, research and political lobbying. The Rainbow Project also provides support and advocacy to victims of homophobic and transphobic hate crimes and to LGB&T people who are homeless. The Rainbow Project currently has 13 full time members of staff and around 40 active volunteers. We are a registered charity in Northern Ireland and are a company limited by guarantee. The Rainbow Project is funded in a number of different ways included contracts with the Public Health Agency and Health and Social Care Trusts for the delivery of services such as testing and counselling, grants from Comic Relief, Joseph Rowntree Charitable Trust and the BIG Lottery. The Rainbow Project also receives a core grant from the Department of Health, Social Services, and Public Safety for the employment of the Director. The Rainbow Project has an annual turnover of around £450,000. Our offices are open Monday – Friday 9.30am – 5.00pm. We do not offer an out of hours helpline service but do run services outside of office times. PINK CROSS is the national federation of gay organizations in Switzerland. Its head office is in the capital, Bern. Our organization operates nationwide in three languages: German, French and Italian. Its affiliates are 53 LGBT associations, 34 companies and over 2000 individual members. PINK CROSS was founded on June 5 1993. Its core task is representing gay interests in politics, in the public administration and among the general public. Through lobbying and advocacy activities as well as an active media policy PINK CROSS pursues the goal of an equal and self-determined gay life. The office in Bern is also an information hub for authorities, media, affiliated organizations and gay individuals. With its public campaigns, for instance a youth campaign and an anti-hate crime campaign, PINK CROSS is empowering the LGBT community. PINK CROSS offers free legal advice and support to its members and is a financial sponsor of many LGBT events in Switzerland. PINK CROSS is a member of ILGA-Europe, the European Region of the International Lesbian, Gay, Bisexual, Trans and Intersex Association (ILGA), and the Swiss AIDS Federation. MANEO – The gay anti-violence project in Berlin is an independent project of the Mann-O-Meter association, which also runs Berlin’s gay health check-point. MANEO has existed for 26 years (founded in 1990). It is Germany’s oldest, best-known and most experienced gay anti-violence project. MANEO receives funding from the Berlin Senate to pay for 2¼ posts and an office (€ 120.000), but not enough to cover all services and projects. This is only possible thanks to the large number of people committed to MANEO’s goals work on a voluntary basis and sponsors. We currently have around 50 volunteers and a voluntary advisory council, a body of 20 women and men. Current members include Klaus Wowereit, the former Governing Mayor of Berlin; Lala Süsskind, the former Chair of the Jewish Community in Berlin; André Schmitz, the former Cultural Secretary for the State of Berlin; Werner Gegenbauer, President of Hertha BSC; and Peter Kurth, a former Finance Senator for the State of Berlin und Dr. Berndt Schmidt, director of Berlins Friedrichstadt-Palast. psychosocial victim support for gay and bisexual youths and adult men More than 10,000 victims have taken us up on our support offer since 1990, 700 of them in the past year. MANEO has wide-ranging experience and has been working with experienced victim support centres in Germany and Europe. recording acts of violence: particularly anti-gay hate crime in The results are evaluated and published in an annual report (see: www.maneo.de). violence prevention: the public is informed about homophobia and hate-crime, gay scenes are informed about possible risks, and multipliers are networked and mobilised. MANEO promotes dialogue with the police and public prosecutor’s office in Berlin. empowerment: civic engagement is strengthened and mobilised (empowerment) and voluntary work at MANEO encouraged. MANEO stands for diversity and tolerance in Berlin, takes a strong stand against all forms of prejudice-motivated hate violence and does so competently and creatively. MANEO made a considerable contribution to the establishment of LSBT*-contact persons at Berlin police (1992) – the only full-time post of its kind in Germany – and LSBT*-contact persons at the Berlin state prosecution office (2012). MANEO has established networks and alliances, we mobilise civic engagement and we attract public attention, for example: We have launched district forums; founded the Lesbian and Gay City Festival in the Schöneberg rainbow district in 1993, an event that attracts 400,000 guests each year; developed the Berlin Tolerance Alliance with 130 partners, both businesses and events, and has paved the way for new joint initiatives in the city, including the Dome of Lights in 2013 when the dome of Nollendorfplatz U-Bahn station in the Schöneberg “rainbow neighbourhood” was lit up in rainbow colours. Our regular annual events now include Kiss Kiss Berlin (between the International Day Against Racism on March 21 and the International Day Against Homophobia and Trans*-phobia on May 17). Office of MANEO is available from Monday-Friday, victim support daily from 17h-19h.